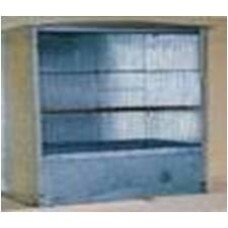 - 20" H X 20" W X 11" Deep (Cage Body 10.5" High) Does not include any fittings. Hospital C..
- 15.5" H X 13.5" W X 12" Deep (Cage Body 15" High) Does not include any fittings. Hospital Cage ..